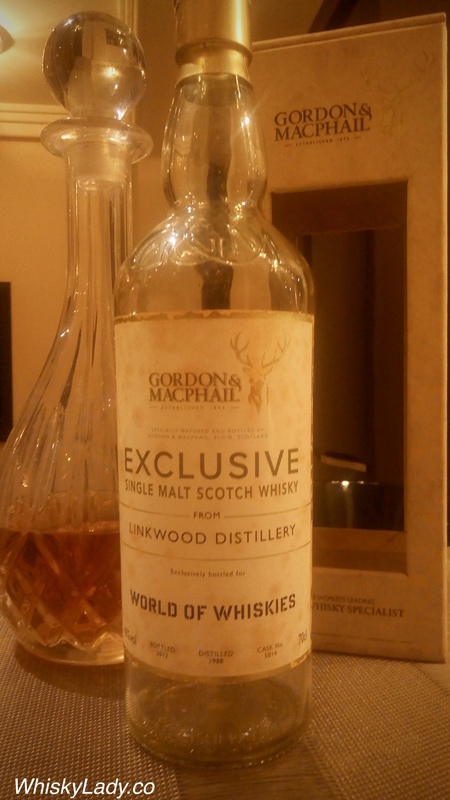 From Gordon & MacPhail’s Private Collection, this special wine cask finish expression was released in the US. We sampled this whisky blind without bias… knowing nothing about it beyond our immediate experience… until our host revealed it! Nose – Starts as a delightful Christmasy rum raisin with varnish… full on fruity, berries, very sweet, plum cake… loads of caramel, vanilla, soaked dried fruits, red apples, cinnamon brown sugar, malt, herbal green tea, burnt syrup, oily, coconut, calvados, a bit of spice from the oak, some rose petals? This one was certainly a shift from the 1st… we struggled to reconcile the rich colour with the lighter body, sparking considerable speculation – how could it be such a bright red? Surely it wasn’t natural! To which our host shared the whisky was not chill filtered and completely natural colour. Hmm…. This confirmed our suspicions of a red wine cask however it didn’t quite fit with previous experiences with whiskies matured in port, pinot noir, bordeaux… so then which red wine? How long was it finished for? And the reveal? 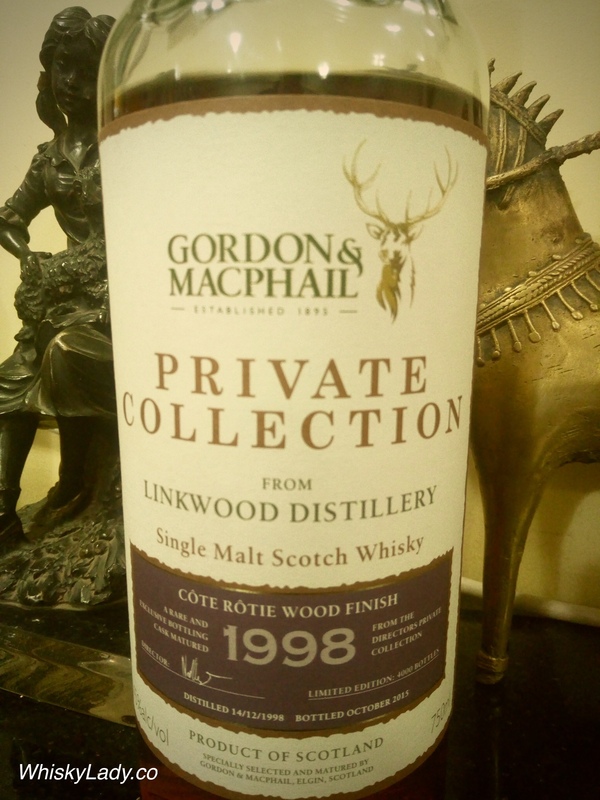 Delighted to see we had a treat from Linkwood – a distillery our collective experiences has given rise to an impression of an underrated whisky well worth catching – particularly if seen fit to be bottled by the folks over at Gordon & Macphail. As for the wood and finish? The notes on the bottle revealed it was aged for 15 years to then be finished for 23 months in the Côte Rôtie – which is considerably longer than most finishes. We set the whisky aside for some time and revisited – absolutely exquisite! Definitely one to slowly sip and enjoy. Sweet and cream accents with rich summer berries and green apples, which are complemented by a smooth milk chocolate edge. Last seen in the US online for approx $160. What did we try in our special “red” casks evening? Nose – When first opened it was so fruity – particularly jackfruit, cashew fruit then red fruits… then as strong as it came on, the basket of fruits slipped away… Particularly after the first sip. Instead there was biscuits, cereal notes with hay, grass… more and more it became dusty, musty, woody… after even more time there was a light coconut and even some marshmallow but… something wasn’t quite right…. We struggled with this one… it seemed oddly incomplete or off… something or other wasn’t quite right. Over and over we kept remarking on the peculiar musty element. With the reveal we were all surprised. Really?? The character wasn’t in keeping with our past experience with Linkwood whiskies and certainly not Gordon & Macphail bottles. And that is when our host revealed that the reason he served this single malt from a lovely decanter was the cork had crumbled completely. He further shared he had purchased this years ago – likely not long after it was released in 2012. It seemed that tragedy had struck. What could have once been a fine dram was given no favours by being stored in a Mumbai cupboard for years. There actually have been studies on the impact of storage conditions on whisky bottles. Mumbai’s heat isn’t kind to bottles… and this seems to have happened in this case. Sigh…. What about other Linkwood experiences? 25 year 40% (G&MP) – Did not disappoint!